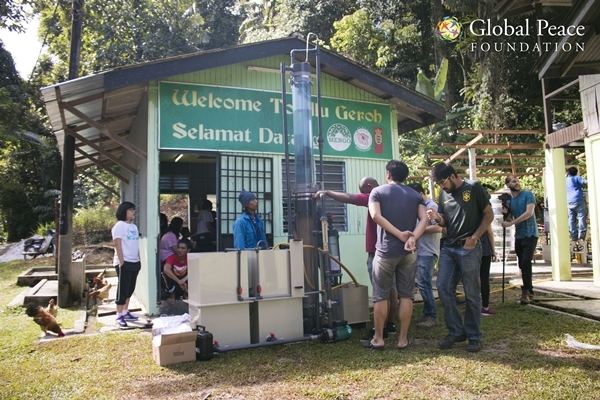 This year Laneige collaborates with Global Peace Foundation (GPF) an international non-profit organization in offering water relief to 500 orang asli residents living in the remote areas of Kampung Binjai, Pahang and Kampung Ulu Geruntum, Perak through its Waterful Sharing Campaign 2016. Through this campaign, Laneige targets to raise RM80,000 through the sale of its Water Bank Limited Edition Water Bottle, which is sold at only RM10 each with every purchase of any Water Bank products or RM40 without the purchase of the Water Bank products. The water filtration system which will be installed is specially designed and developed by a local company called RIVIVA to offer ease of use while effectively generating up to 16,000 litres of pure clean water a day for the villagers. The Waterful Sharing Campaign 2016 will be held for 3 months from 1st May to 31st July 2016. Please visit Laneige’s Beauty Road at the Centre Court of Mid Valley from the 2nd to 8th May 2016 or at any of Laneige’s beauty counters and boutiques nationwide to purchase the Water Bank Limited Edition Water Bottle. I want those water bottles! Will buy it on May first!